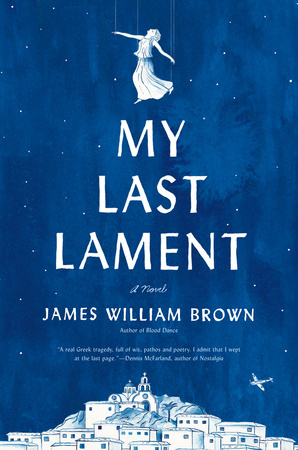 James William Brown’s My Last Lament is a poignant and evocative novel of one Greek woman’s story of her own—and her nation’s—epic struggle in the aftermath of World War II. In a letter to librarians, he expresses his deep gratitude and explains how important libraries have been throughout the process of writing this novel, and his life. Aliki is one of the last of her kind, a lamenter who mourns and celebrates the passing of life. Her last lament begins in a village in northeast Greece, where Aliki witnesses the occupying Nazi soldiers execute her father for stealing squash. Taken in by her friend Takis’s mother, Aliki is joined by a Jewish refugee and her son, Stelios. When the village is torched and its people massacred, Aliki, Takis, and Stelios are able to escape just as the war is ending. Fleeing across the chaotic landscape of a postwar Greece, the three become a makeshift family. They’re bound by friendship and grief, but torn apart by betrayal, madness and heartbreak. Through Aliki’s powerful voice, an unforgettable one that blends light and dark with wry humor, My Last Lament delivers a fitting eulogy to a way of life and provides a vivid portrait of a timeless Greek woman, whose story of love and loss is an eternal one. Click to Read a Letter to Librarians from James William Brown. 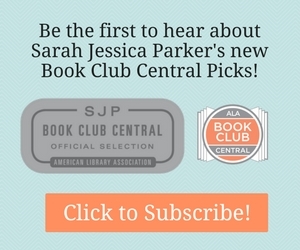 Request an eGalley on Edelweiss. Request an eGalley on NetGalley. *If you loved this book, remember to cast your vote for the February LibraryReads list by 2/20! New Titles Added to the NEA Big Read Library!